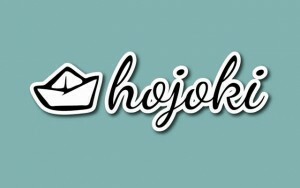 Productivity app builder Hojoki has launched CatchApp in the North American Apple App Store to help business managers track everything their teams are working on. CatchApp delivers an overview of work when it is spread across different apps and multiple people. The app does this by automatically creating reports on the activity of recent teams in the form of a workplace newsfeed. Users can filter the feed with lists that are shown based on custom criteria, including chosen tags, folders, notebooks, and others. Lists organization tracking for different projects and alert user of updates via push notifications. The alert option can be turned on or off for each list. CatchApp is designed primarily for small and mid-sized companies and integrates with over 15 apps including Dropbox, Google Drive, Box, Trello, Pivotal Tracker, Google Calendar, Evernote Business, Desk, Github, and Bitbucket. The technology also supports Twitter for monitoring tweets from specified accounts or from defined search terms. CatchApp provides 100 updates per month free of charge and offers a premium package priced at $4.99 per month or $49.00 per year that allows for unlimited updates. Premium users also receive free updates each month through a referral program and can reply directly into existing conversations within CatchApp. They are also given access to premium integrations with Evernote Business, Trello Organizations, and Desk.